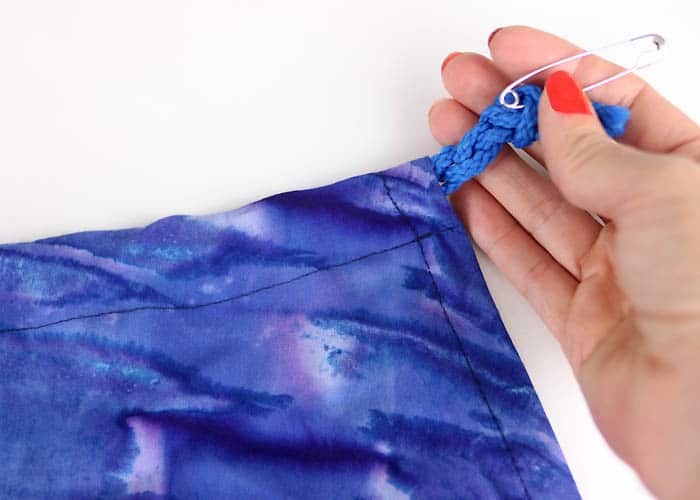 Want more Easy Summer Fashion DIYs? Fold fabric in half. There should be 1 yard on either side of the fold. Using the diagram above, cut a diagonal line at the sides. The will make the armholes. After cutting the armholes, cut across the fold line to separate the dress into 2 pieces. Place right sides together and sew the side seams. Do not sew the armholes. 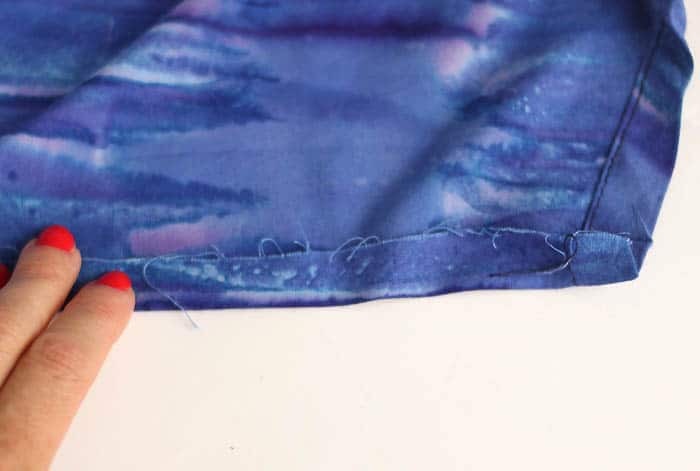 Next you’re going to create a hem on the armholes to hide the raw edges. 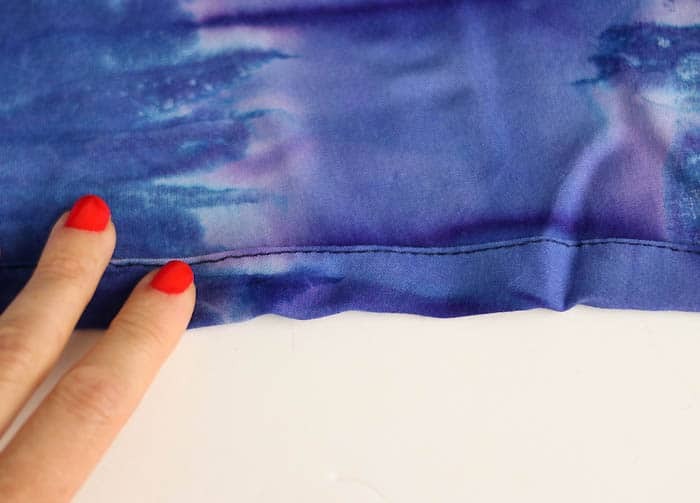 Using an iron, press down the edge of the armholes. Fold over one more time and press down. 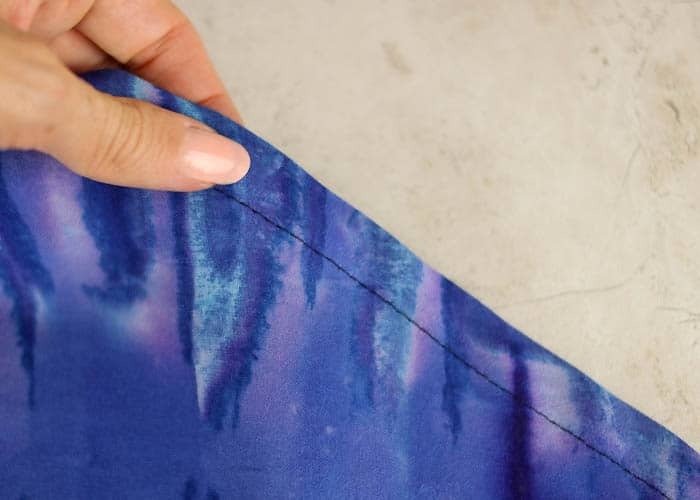 Using an iron, fold the bottom hem over twice and press down. Topstitch to secure. Next you make the casing for the drawstring at the front and back collar. 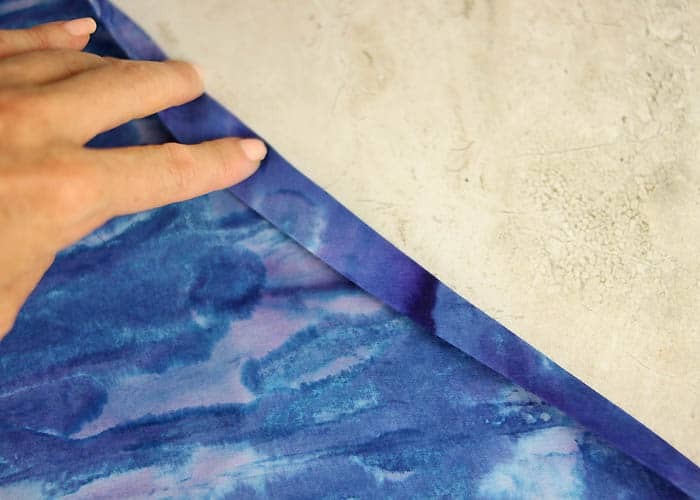 Using an iron, fold over the raw edge. Cut the drawstring cord 36 inches long (I took 3 and braided them together). Attach a safety pin to the end and string through the casing on both sides. This is too cute and very versatile! By knowing how to sew this, you can easily make a top or dress by not cutting the sleeve opening too wide! Thanks for sharing this awesome tutorial! Wow. This one outfit is the best one and adds an impressive look for your personality. I hope this will be the most comfortable dress for summer season. How wide was the fabric you used? Thanks. Sorry- I should have mentioned this! It's 44 inches wide.